Before you start filling in presentation Power Point objects, you need to prepare the slides: create their a number, to select the layout for easy location of objects, and set design. The following recommendations are given for Power Point 2007 notes to the 2003 version. Ways to create new slides. More freely to dispose of existing material and change the structure of the presentation, you need to prepare a few clean slides. 1. In the slides pane located on the left, click the right mouse button; from the shortcut menu, click "new slide". The same can be done for the mode sorter. 2. The "Home" tab - "Create slide". Note: in Power Point 2003 the menu "Insert" – "new slide" and a button "new slide" on the toolbar. To change the order of slides in the sorter view mode. Button this mode is in the menu "View" and in the bottom of the window: in the 2007 version on the right side of the scale, with the 2003 version on the left, under the slide plate. For speed, you can use the layouts under the layout title slide, a slide with a title and a subtitle with a title and list, etc. 1. On the Home tab of the ribbon, find the button Layout. Call list. 2. To apply the selected layout, click on it with the left mouse button. Note: in Power Point 2003 slide Layout is a task pane (to the right of the current slide). To choose the layout of the markup, click it with the left mouse button. To select the applications of the markup, click on the model, right-click. If You want to freely dispose of the space slide, not using a predetermined arrangement of objects, use the layout "Empty slide". This will allow you to randomly insert into a slide any object. To the presentation of the person acquired, you need to apply a specific color scheme. 1. In the ribbon select the tab "Design". 2. Moving the mouse pointer on samples design, preview them on the current slide. 3. To apply any template to all the slides, click on it with the left mouse button. 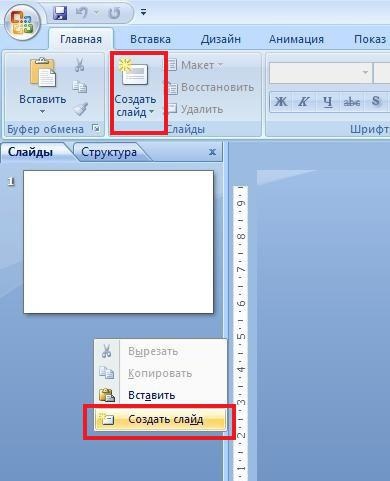 If you need application, click on the sample in the ribbon, right-click and from the context menu select an option (e.g. "apply to selected slides"). Note: in PowerPoint 2003 slide Design is a task pane (to the right of the current slide). Separately selected templates containing default certain fonts, and color schemes. Applications of the design are selected also by right clicking on the sample. Presentation background, you can create and not using templates. Just click the right mouse button on the current slide and select Format background (in Power Point - "Background"). 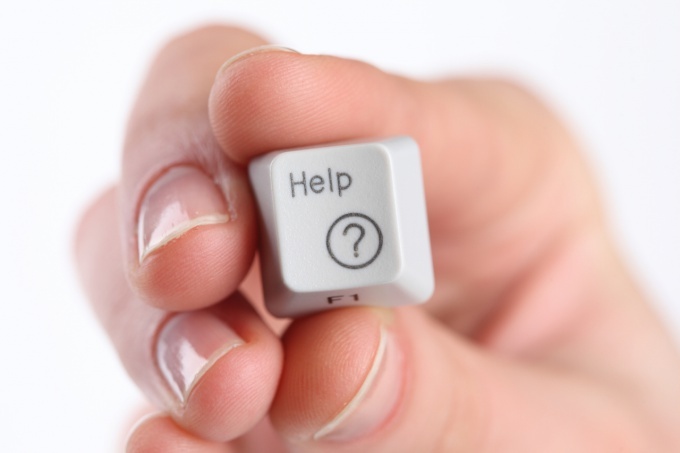 A window will open background settings where you change the settings as needed. Don't forget that the background of the presentation should contrast with the color of the text: dark background and light text, light background and dark text. This facilitates the perception of information. Minimum font size – 18 for text and 22 for headlines. The presentation can be used no more than 2 different types of font, preferably sans serif (e.g., Arial). 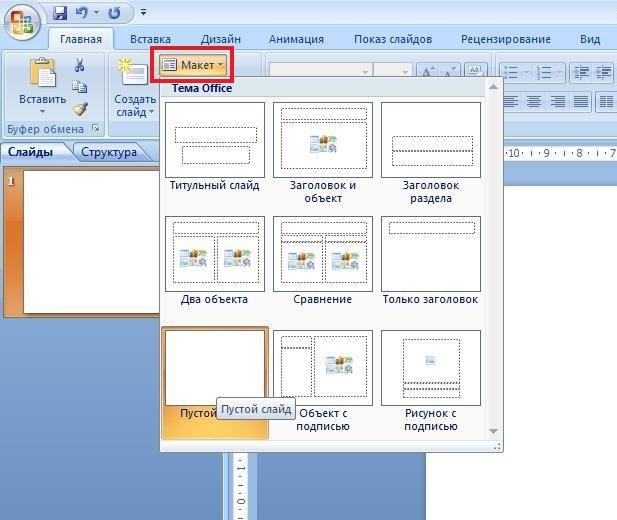 In PowerPoint 2007, there is no task pane on the right. It is not necessary, because the tasks are located in the ribbon. When searching for the right buttons to take your time, read the tooltip.